Do you want relaxation and recreation? Would you like to spend a couple of pleasant days in a quiet, peaceful environment? You can do so in the Szigetvár Spa and the neighbouring Kumilla Hotel, in the small historic town of Szigetvár. The small town of Szigetvár, which acquired a well-deserved fame during the Turkish peril, lies in the southern part of Baranya County, 33 km away from the county capital. The three-star Hotel Kumilla is situated in this place of historical significance. The rooms facing east offer a beautiful view of the recently renovated Szigetvár Spa, which lies a mere 100 metres away from the hotel. Those who seek relaxation can benefit from countless spa and medical treatments in the imposing spa. By railway: on the Pécs-Budapest main line, with a transfer in Szentlőrinc. 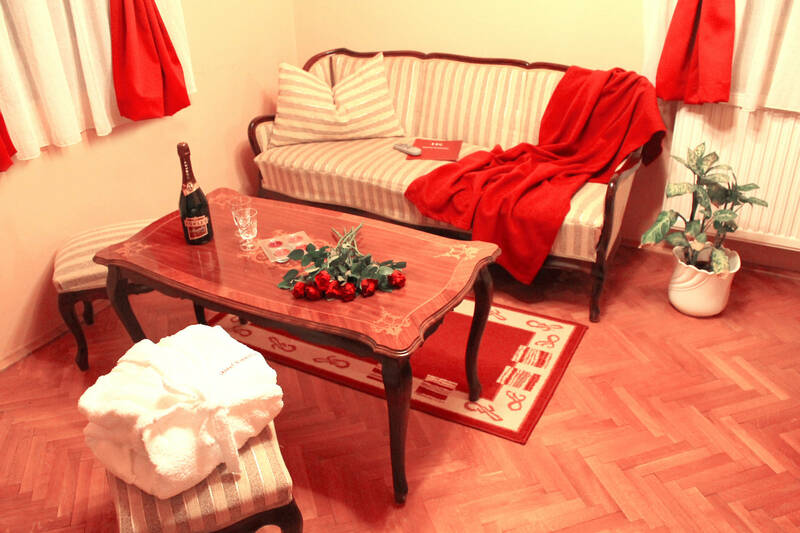 We are a 15-minute walk away from the railway station. By bus: with direct bus services from Pécs and Kaposvár. By car: on Road 6 or, from Kaposvár, on Road 67. 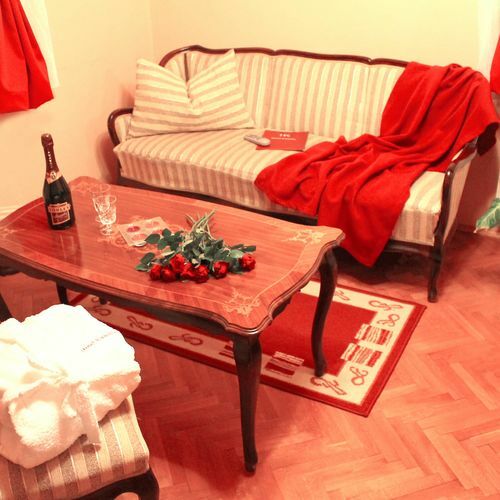 The hotel has 28 double rooms with parquet floors and shower rooms, renovated in 2011 and furnished with new furniture. The beds have winter-summer mattresses for the relaxed rest of our guests. There is wireless (Wi-Fi) Internet at the disposal of our guests in the lobby. If you come by car, you do not need to worry, we guard your car for 24 hours a day in our parking lot. In case of groups, we can provide a parking space for a bus as well. Half board and full board can be provided to our guests. For groups (of more than 21 persons), we give a 10% discount from the price of our dishes, if they are chosen from our menu. If you are vegetarian or have a coeliac disease, please, inform us in advance and we will prepare your food accordingly. The strikingly beautiful Cumilla, a Turkish character with a tragic fate in the epic poem „The Siege of Sziget” by Miklós Zrínyi, the poet, was born from the marriage of Sultan Suleiman the Lawgiver and Roxelana, his Ukrainian-born slave. Suleiman forced his daughter to marry his Grand Vizier, Rüstem Bey, although she loved the young Tartar Khan, the handsome Deliman. Both Rüstem Bey and Deliman took part in the 1566 siege of Szigetvár. After a stormy meeting at the headquarters, they quarreled and Deliman killed Rüstem. Escaping the wrath of the Sultan, he fled from the Turkish camp and secretly met Cumilla, his love, in Belgrade. As the Turkish soldiers did not want to fight without Deliman, the Sultan sent a forgiving message to his daughter and Deliman, calling them back to the Szigetvár camp. Max. capacity: 4 persons: 2 adults and child(ren) under 6. 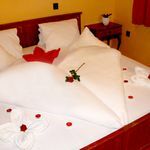 The rating of Hotel Kumilla Szigetvár is 8.7 from the maximum 10, 111 based on actual and valid guest ratings and reviews.